This weekend the New York Yankees travel to Chicago to take on the defending World Champion Chicago Cubs. The two teams will be meeting for only the fifth regular season series ever . The Yankees – Cubs World Series also took place in 1932 and 1938. This is the first time that the Yankees are going up against a defending champion Cubs team, since there hasn’t been a Cubs World Series winner since 1908 and the Yankees (then Highlanders) were pretty bad back then. And, of course, there was no interleague play at the time either. When the Yankees and Cubs met in the 1932 World Series, the Yankees lineup featured future Hall of Fame members Babe Ruth, Lou Gehrig, Bill Dickey, Earle Combs, and Tony Lazzeri. The pitching staff included Lefty Gomez, Herb Pennock, and Red Ruffing, all of whom were later elected to the Hall of Fame. The Cubs roster had future Hall of Fame members Gabby Hartnett, Kiki Cuyler, Billy Herman, and Burleigh Grimes (a member of the ’34 Yankees). The great Rogers Hornsby was a player-manager until August when owner William Veeck Sr. fired him. He had become so unpopular, the players didn’tt vote Hornsby a share of World Series money. The Yankees had extra incentive to beat the Cubs. Former Yankees standout Mark Koenig was a member of the Cubs squad and was reportedly being treated poorly by his teammates. Koening still had many friends on the Yankees and his former teammates let the Cubs verbally have it. The Yankees romped to a four-game sweep, winning a pair of blowouts sandwiched around a pair of close games. Game 3 is the most famous game of the Series because that is when Babe Ruth called his shot. There has been controversy over the years as to whether Ruth was really calling his shot or simply requesting that the umpire stationed near second base move out of his line of sight. Herman said Ruth pointed to the Cubs dugout to indicate that there were only two strikes on him. The bottom line though is it really doesn’t matter what his intent was. What happened next is all that really mattered. Ruth smashed a shot well over 440 feet to centerfield for the final World Series home run of his career. The second and last time the Yankees and Cubs met in the World Series was in 1938. It was also the last World Series that Lou Gehrig appeared in. The “Iron Horse” retired after he appeared in just eight games the following season. Joe DiMaggio, in his third season in the Majors, was the new star of the team. Gehrig hit .286 (4-14) in the Series with four runs scored and no RBI. Star second baseman Joe Gordon and light-hitting shortstop Frank Crosetti each homered and drove in six runs. 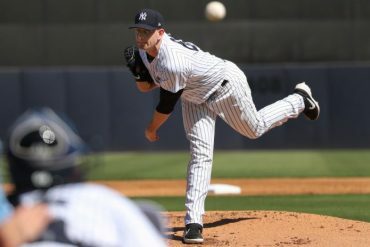 The Yankees pitching staff dominated the four-game sweep. Ruffing won a pair of games, with Gomez and Monte Pearson picking up victories as well. Dizzy Dean, better known for his days as a member of the St. Louis Cardinals, took the loss in Game 2. The sweep gave the Yankees three straight World Series championships and they would add another in 1939. Roger Clemens sat at 299 career wins when the Yankees and Cubs met up at Wrigley Field on June 7, 2003. It was the first time since the 1938 World Series that Chicagoans witnessed a Yankees – Cubs clash. The Rocket had started twice since he picked up his 299th victory, but came away with a loss to Boston and a no-decision against Detroit. Despite a less than stellar performance, he left the Tigers’ game after six innings with an 8-6 lead. The Yankees bullpen couldn’t hold it, however, and the Tigers won it in 17 innings. The Yankees trotted out a lineup that, for the most part, would be seen in the 2003 Fall Classic. One notable exception was Bernie Williams, who was on the disabled list with a bad knee. The game was hyped even more by Clemens’ opponent that day, the Cubs’ young, hard-throwing right-hander, Kerry Wood. The duo lived up to the hype, allowing just a hit apiece through four innings. But, in the 5th inning, Matsui blasted a solo home run to put the Yankees ahead, 1-0. Clemens worked out of trouble in the bottom of the 6th inning, but one frame later manager Joe Torre pulled him with two aboard and only one out. Righty Juan Acevedo was called upon to face Cubs first baseman Eric Karros. Karros was only in the game because starter Hee-Seop Choi had been carted off the field in the 4th inning after a violent collision with Wood. Karros swung at Acevedo’s first offering and drilled it into the left field bleachers to give the Cubs a 3-1 lead and wiped out Clemens’ third attempt to win his 300th game. The Cubs went on to a 5-2 victory with Clemens taking the loss. While it’s not a game or a World Series, but Don Zimmer was as baseball as baseball can get…and he contributed a certain gritty charm to both teams. He was an integral part of the Yankees’ and Cubs’ histories. He served as a Yankees’ coach in 1983 and 1986 and then was their bench coach from 1996 – 2003 (and interim manager while Torre was being treated for prostate cancer in 1999). He played for the Cubs in 1960 and 1961 and was their manager from 1988 into the early part of 1991. Zim was feisty one minute and a sweetheart the next. He dealt with the ignominy of managing the ’78 Red Sox, who blew a 14.5 game lead in the AL East to the Yankees. He couldn’t put a stop to the Cubs’ long dry spell, but he led the team to the 1989 NL East title. Torre’s selection of Zimmer as the team’s bench coach turned out to be a brilliant move. The two had a wonderful relationship and a bit of a Vulcan mind meld effect. Zim also encouraged Torre to try to think outside the box when strategizing. When Zim was managing the Cubs, he would fearlessly call for a hit and run with the bases loaded…and it usually worked out for him. He was Derek Jeter‘s good luck charm, at times holding the Captain’s bat and letting Jeter rub his head for luck. Who can forget him wearing an army helmet in the dugout after a Chuck Knoblauch foul ball nailed him? Zim passed in 2014, leaving behind an incredible baseball legacy. He’ll never be forgotten. 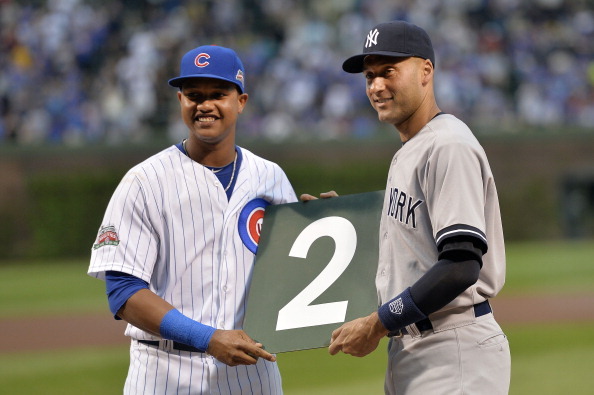 Yankees – Cubs; who cares if it doesn’t count! 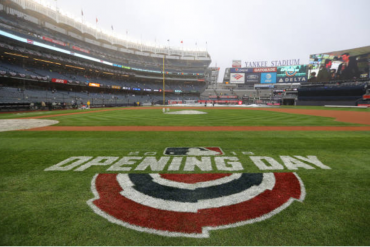 Before the official home opener at the new Yankee Stadium in 2009, the Yankees and Cubs met for a pair of exhibition games on April 3-4. It didn’t matter that the games were just for bragging rights. It featured two of the oldest franchises in baseball history and introduced the new Stadium to fans around the world. Robinson Cano “unofficially” hit the first home run in the new ballpark and was joined by Cody Ransom and Hideki Matsui. 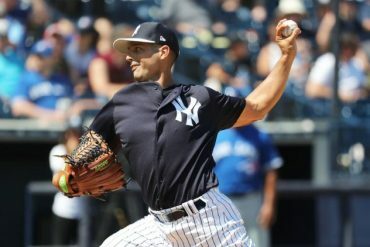 Chien-Ming Wang, in what would be his last season in the Bronx, defeated former Yankee Ted Lilly (Wang would only win one game during the regular season). 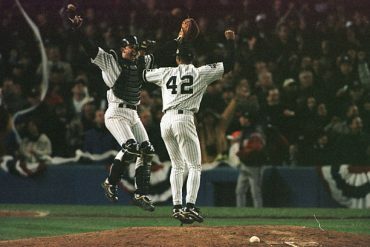 It also gave the fans in attendance the opportunity to see Mariano Rivera pitch in the 6th inning, not an uncommon occurrence for a closer during the exhibition season. 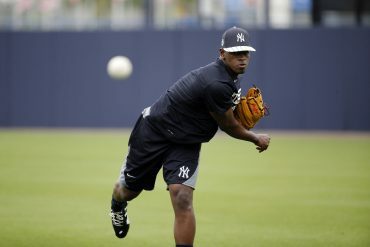 The next day, the Yankees romped 10-1 behind a pair of home runs and four RBI by Mark Teixeira. Jeter and Shelley Duncan also went deep to back starter Andy Pettitte’s win. Former and future Yankee Alfonso Soriano went deep for the Cubbies, who saw starter Rich Harden get rocked early and often. 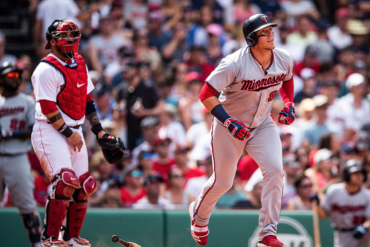 Will new memories be forged in this year’s interleague play? Of course! It’s Yankees – Cubs at Wrigley!